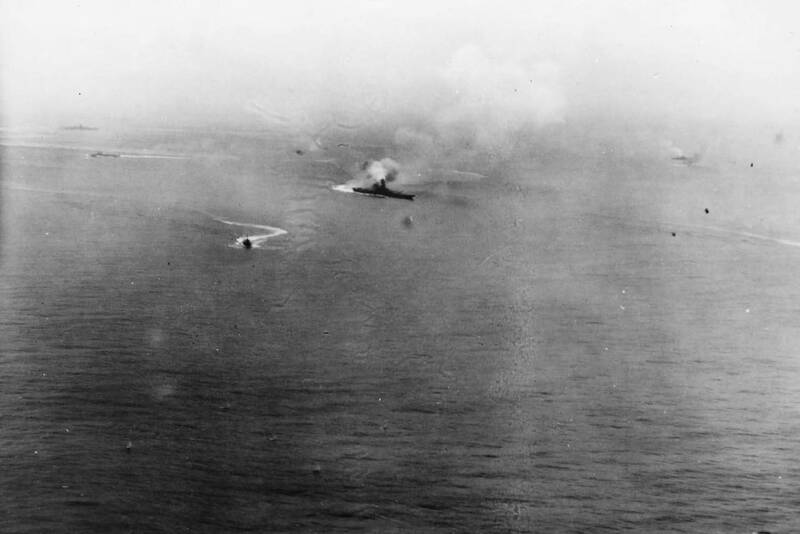 » Yamato being attacked in the East China Sea, 7 Apr 1945. Note the Agano-class cruiser Yahagi in the upper left distance. This photograph has been scaled down; full resolution photograph is available here (1,471 by 981 pixels).